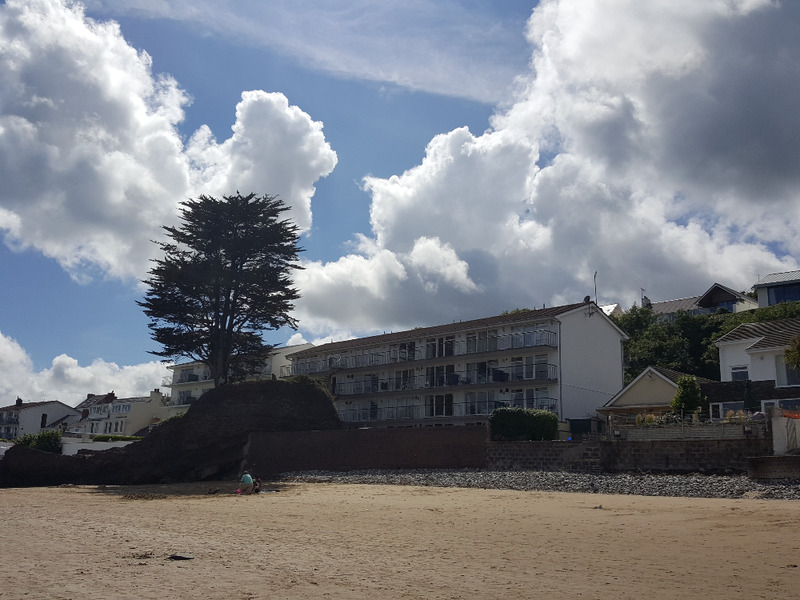 Saundersfoot is a charming seaside town not far from Tenby. There are plenty of options for sightseeing around the town, one of which is the working harbour, often full of boats of various descriptions and sizes coming and going at high tide. The beach is huge and has a gentle gradient revealing a vast area of clean sandy beach at low tides. The town is pleasant with lots of shops, mostly geared towards tourism, but interesting nonetheless, plus several nice pubs! The town can be reached by car but also on foot from Tenby and the opposite direction from Wiseman's Bridge, along the Pembroksehire Coast Path. This is a simple swim in a roughly rectangular route around Saundersfoot Bay. The bay is usually calm and flat so this is suitable for beginners or fr more advanced open water swimmers to practise drills and endurance. The beach is also nice and sandy with a shallow gradient, so you can use it to practise starts and exits as well as up and down beach runs for general fitness. Expect the beach to be very busy during the summer. This route follows the coast from Saundersfoot Bay to Wiseman's Bridge. The water is normally reasonably calm in the summer months but there are no stopping points between Saundersfoot and Wiseman's and if there is a swell it will be bigger as you leave Saundersfoot, so be prepared to slog it out once you leave the safety of the bay. The route follows the walking trail along the coast. Visibility is often fine and you can usually see the sandy bottom all the way along the course. 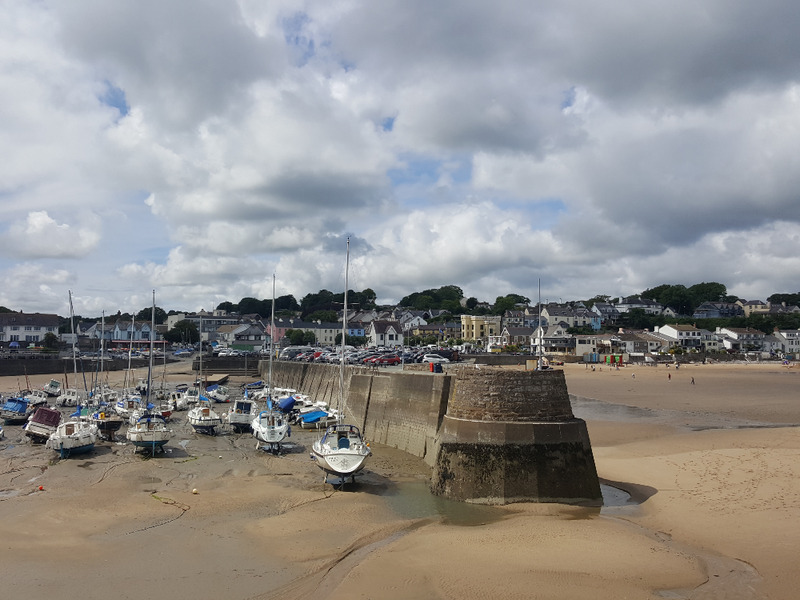 Saundersfoot is a very safe place to swim, the only consideration is to be careful of any boats entering or leaving the harbour and for this reason stay clear of the harbour entrance. There is a jelly fish season, around May to late June, which is something to be aware of, however for some reason we have noticed there are less of them here than at other beaches in the region, such as Freshwater East. There is ample parking in Saundersfoot although it is commonly short term so check the ticket durations. There is a car park right on the beach by the harbour. There are no 'changing rooms' on the beach so sea swimmers will need to get changed by their cars or on the beach. There are loads of places to get snacks and food such as cafes, restaurants and pubs serving great food. Dogs are NOT allowed on any Saundersfoot beaches from April to October. Standard sea swimming gear applies, click here for more details. You may see various sea fish whilst swimming around the bay, but are unlikely to see any seals as it's too close to human activity and there are a lot of boats. You will likely see jellyfish in the season, refer to this link for more details. Book your sea swim experience now!